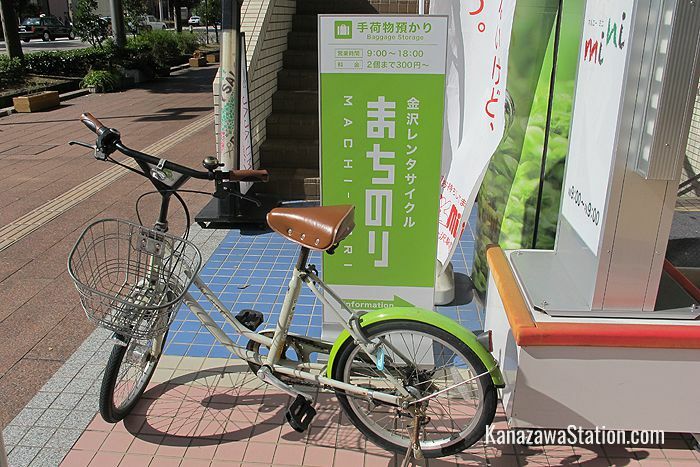 Renting a bicycle is an excellent option for getting around Kanazawa. The distances between the most popular tourist locations are not too far and most of the roads are fairly smooth and flat. With a bicycle you can get around quickly and easily without too much effort and you can see much more than you would by public transport or on foot. A bicycle also gives you the freedom to explore parts of Kanazawa that are not on the usual tourist trail. And at the end of the day you can give yourself a little pat on the back for all that healthy cycling exercise! 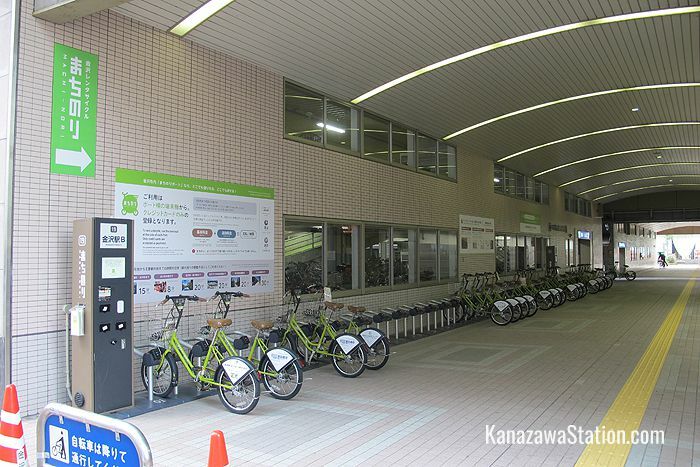 Fortunately Kanazawa has an excellent public bicycle rental service called Machi-Nori. This service has three options available which are reasonably priced and easy to use. 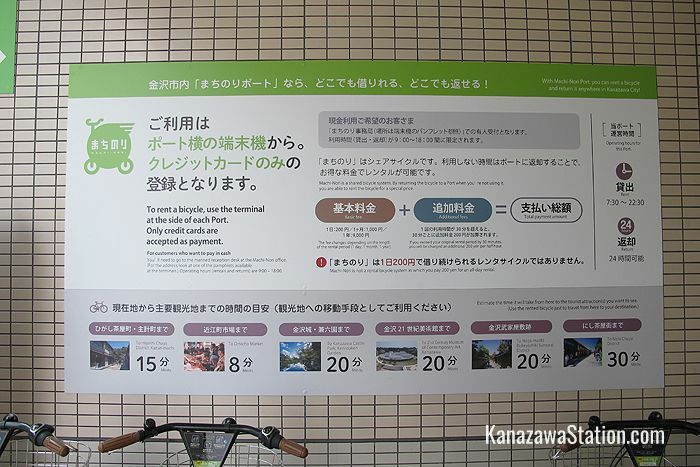 With a credit card bicycles can be borrowed directly from 20 cycle ports which are located at all the major locations in Kanazawa. You can also return the bicycle to any of these cycle ports, so you don’t have to go back to the place you first borrowed the bicycle. The following credit cards can be used: JCB, Visa, Mastercard, American Express, and Diner’s Club. 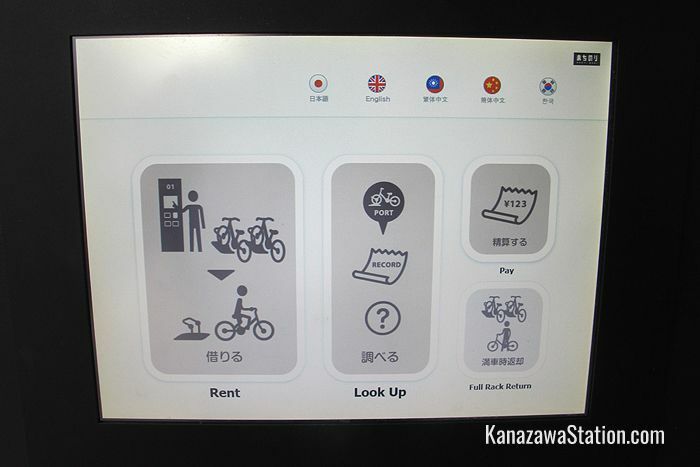 The cycle ports have easy to use touch screen panels which have guidance in 4 languages: Japanese, English, Chinese, and Korean. To unlock the bicycle you can choose whether to use an IC card or a Password. 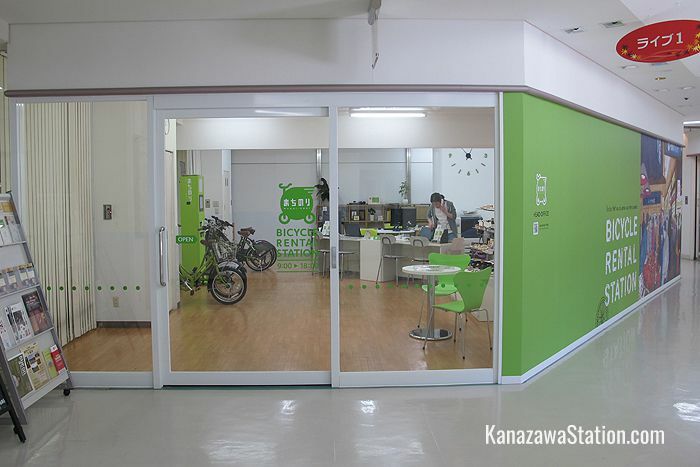 If you want to pay by cash, you can borrow a bicycle from the Machi-Nori Head Office which is very close to Kanazawa Station. 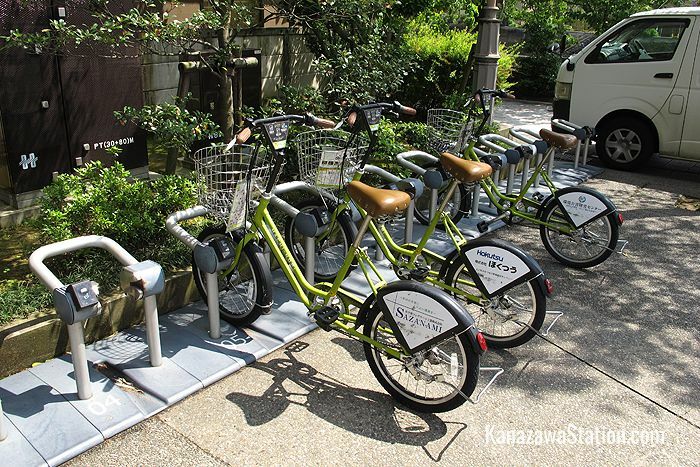 You can also pay cash to borrow Machi-Nori bicycles from several hotels in Kanazawa. The basic access fee is just 200 yen. For 200 yen you can borrow Machi-Nori bicycles as many times as you like for one day. You have to return the bicycle to another official cycle port inside 30 minutes. This is easy to do. Most of the main tourist sites are pretty close together, and there is a mobile Machi-Nori website that shows you where you are and where the nearest cycle port is. There is also a map with suggested cycle routes in the bicycle’s basket. If you use a bicycle for longer than 20 minutes then you will be charged an additional 200 yen. Bicycles can be rented from 7.30 – 22.30. Bicycles can be returned any time over 24 hours. Bicycles are not available for small children, and you have to be 140cm or more to rent a bicycle. 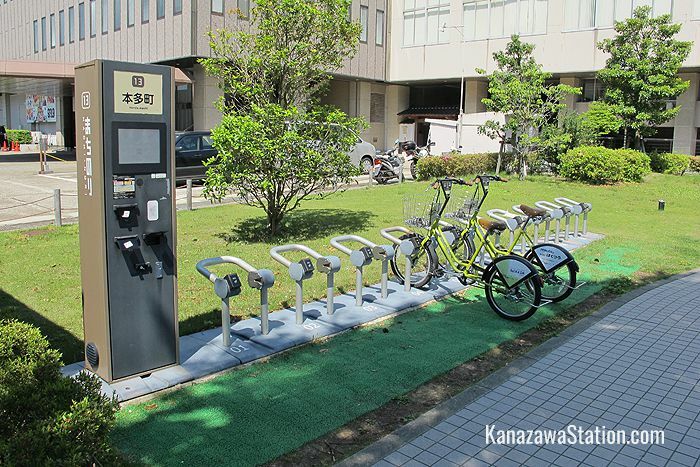 If you don’t want to worry about finding the official cycle ports then you can pay a one-time fee of 900 yen. For 900 yen you can use the same bicycle freely between the hours of 9.00 and 18.00. However, only 15 of these one day rental bicycles are available and they can only be borrowed from the Machi-Nori Head Office. You must also return your bicycle to the Machi-Nori Head Office before 18.00. If you are planning to cycle all day, then you are going to need a lot of energy. 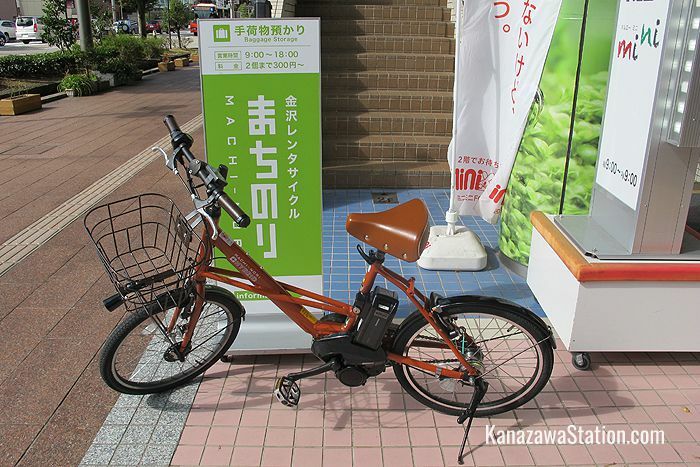 The Machi-Nori Head Office also has 8 electric hybrid bicycles that are available to rent. The battery-powered engine on these bicycles gives your cycling a powerful boost which can be useful when you are going uphill or are cycling long distances. These hybrid bicycles are a little more expensive however, and are priced at 700 yen for a “half-day” of four hours, or 1,400 yen for a full day’s rental. These bicycles must also be returned to the Machi-Nori Head Office before 18.00. For more detailed information and a list of hotels participating in the Machi-Nori program, download the official Machi-Nori PDF guide.